For as long as Prudence can remember, it has been understood her sister will one day wed the eldest son of their nearest neighbor. 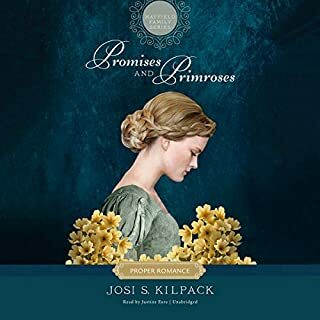 Prudence, an aspiring romance novelist, believes her sister is mad to consider marrying a man she hardly knows, even if he will one day make her a countess. Unable to stand by and do nothing, Prudence sets out to help the awkward couple discover the best in each other with the hope they will eventually find love. What she neglected to foresee, however, was the possibility she might fall in love with Lord Knave herself. When Evangeline is sent to live in a small mill town in Northern England as a schoolteacher in 1871, she finds herself struggling to fit in with an unfamiliar culture. Raised with the high-class Victorian values and ideals of a sophisticated upbringing, she is unprepared for the poverty she finds in the gritty factory town of Smeatley, where the locals speak with a hard-to-understand Yorkshire accent and struggle to thrive with few resources or opportunities. Though she has no training as a teacher, she must prove herself successful before her grandfather will release her inheritance. In "Legacy of Love", Sarah Gooding never suspected returning a brooch to an elderly woman would lead to a job and introduce her to the woman's grandson. Widow Ruth Albright uses the family brooch as collateral for a loan from the local banker and hopes for a second chance at love in "Gift of the Heart". In "A Shot at Love", Fleeta Brady never expected her family's brooch might be how a fellow hunter turns her attention from competition to romance. Maddie Winslow stumbles upon an old family brooch in "Because of You". Might it finally be her turn for love? When her parents and twin brother die within weeks of each other, Alicia and her younger sister are left in the hands of an uncle who has brought them all to financial and social ruin. Desperate to save her family from debtor's prison, Alicia vows to marry the first wealthy man to propose. 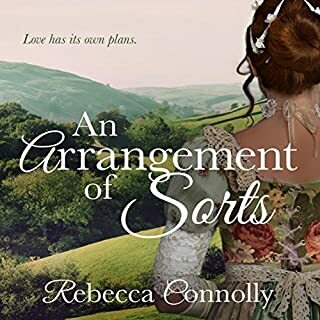 She meets the dashing Lord Amesbury, and her heart whispers that this is the man she is destined to love, but his tainted past may forever stand in their way. Her choices in potential husbands narrow to either a scarred cripple with the heart of a poet, or a handsome rake with a deadly secret. Cole Amesbury is tormented by his own ghosts, and believes he is beyond redemption, yet he cannot deny his attraction for the girl whose genuine goodness touches the heart he'd thought long dead. He fears the scars in his soul cut so deeply that he may never be able to offer Alicia a love that is true. When yet another bizarre mishap threatens her life, Alicia suspects the seemingly unrelated accidents that have plagued her loved ones are actually a killer's attempt to exterminate every member of her family. Despite the threat looming over her, learning to love the stranger she married may pose the greatest danger to her heart. And Cole must protect Alicia from the killer who has been exterminating her family before she is the next target. The only thing I would change is the Narrator. I had read the book already and new I really liked it but the narrator had something lacking. If not for that it would have been an amazing listen. I still recommend to any who loves Historical fun romances. This is my first book by Donna Hatch so I had no idea what to expect. 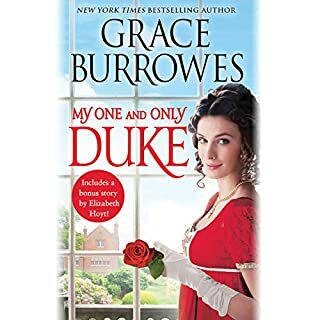 This book is a good clean romance with mystery and romance. The hero (Cole) is a mix of sensitivity, mystery and strength and the heroine (Alicia) is a mix of humbleness, loyalty, and innocence. The story itself kept my interest and proves that not all romance books need to be explicit to be good. The only issue I had with this book was the narration. The narrator did a good job with each voice and with the story itself. The issue I had was that the microphone actually picked up what sounded like the narrator's saliva swishing in her mouth as she spoke. Although it was distracting I'm not sure if it was the narrator's fault or production. Anyway, to mask this sound, I sped my ipod up a bit and after doing this I didn't notice it as much. The Stranger She Married is about Alicia and Cole Amesbury. Alicia has to married to save what left of her family from debtor's prison. Her parents and twin brother is dead. The only family she has left is an uncle, cousin, and her little sister. Alicia met Cole at one of the season's party. Alicia felt that Cole could be someone she was destined to be with while Cole don't feel he deserved Alicia. Cole doesn't believe he deserved to be married to a decent woman. Although he fought against it, he realized when his tainted past came out, he wanted to marry Alicia. Alicia doesn't want anything to do with Cole. Cole was responsible for her twin brother Armaud's death. She cannot married the man that she has feeling for, who has killed her brother. Cole planned the next best thing. Alicia could married his cousin, Nicolas. He could save her from a forced marriage. When "accidents" started happening to Alicia, Cole suspected foul play as he started putting the pieces together that someone is wiping out Alicia and the rest of her family. Alicia is head-strong but at the same time, she is too pride to allow Cole to rescue her. Instead, she went and married his cousin, Nicolas who is deformed physically from the Napolean's War. She was determined to hate Cole but yet trusted him. Cole has never did forgave himself from surviving the war and playing a part in the death of Alicia's brother. He was so determined not to married Alicia but has a change in heart and mind that he was allowing something good to walk out of his life. As he started seeing thing from fresh eyes, the death of Alicia's parents and her brother looked suspicious. Someone closed to Alicia was killing her family off. He is in a race against time to find the killer. The Stranger She Married has a bit of masquerading going on. The protagonist and the antagonist are not what they seemed to be. Another thing that readers/listeners are going to notice is that Alicia's family kept putting the wedge between Alicia and Cole. It also took Alicia awhile to finally accepted that for a flesh wound, her brother shouldn't have die. The narrator, Tanya Mills does a wonderful job in narrating the story. She makes Cole too good to be true. Cole has never raised his voice against Alicia. Alicia is the only one that raising her voice against Cole. The narrator still give Alicia a bit of naiveness of assuming the conclusion without looking at all the fact. All in all, The Stranger She Married is a clean romance story and a sweet story to read/listen to. I was given this audiobook by the author/narrator/publisher via Audiobook Blast in exchange of an honest review. I was not compensated or influenced in any way for writing this review. What other book might you compare The Stranger She Married: Regency Historical Romance to and why? What does Tanya Mills bring to the story that you wouldn’t experience if you just read the book? 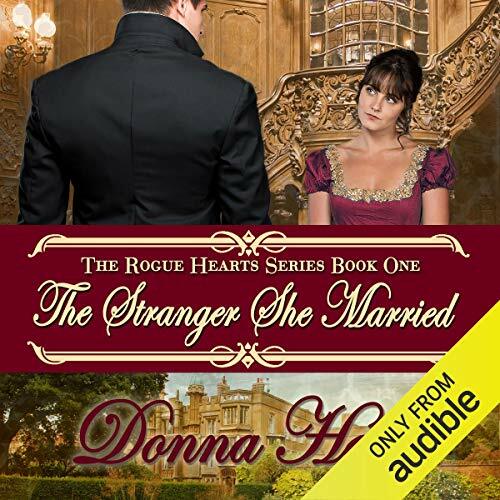 Audiobooks needs the entire collection of Donna Hatch books in its library. I would buy them all. I was given this book in exchange for my honest review. I loved this book. I can't wait to read the others. Happened on this this book and it sounded interesting. Well it was, although predictable , I enjoyed it. 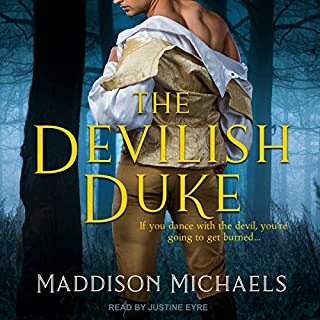 I dont normally read Historical Romance but I received this book free for my honest review an I figured why not give it a listen. I was happily surprised how much I enjoyed it. The mystery had me hooked. My only complaint would be the narration production, there was a background noise Im not sure what it was but it did go away once I sped up the reading pace on my kindle. If your looking for a mystery filled romance that is a clean read then grab a copy of this book....You will enjoy it. I was provided a free audio version of this book for review. A historical romanic mystery about a young lady forced to marry to save her family. It holds all of the elements of a good romance with a strong innocent heroine and her devilishly handsome hero. It is a very well written mystery in that each time you think you've figured it out a new twist appears. I would definitely listen to more from Donna Hatch. 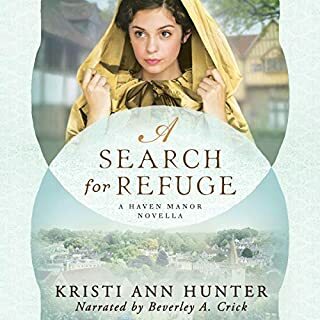 Would you consider the audio edition of The Stranger She Married: Regency Historical Romance to be better than the print version? I received this book as a gift from the author through Audioblast. One of the best I have read this year. Good old fashioned romance with a mystery thrown in for good measure! What about Tanya Mills’s performance did you like? Buy this book. You will love it! Narrator I have had the misfortune to listen to. A waste of purchase when out of 38 Chapters I could only stand to the constant timeless drone of the narrator and hit to Chapter 4!!! Like the other review, I too found the narrator pretty grim 🙉 however, speeding it up, made it bearable! After a while you do get used to the Narrator, which is well worth the effort as the story was amazing! Completely different from the usual Regency Romances! Full of drama, intrigue, Murder & Suspense. Had the Narrator been good, this would of easily been a 5 star rating and I am even prepared to suffer the Narrator to listen to the second book in the series as the first one was so good!! I would highly recommend this Story. An enjoyable regency novel with all the usual necessary ingredients - a roguish gentleman, a sweet impoverished lady, a hint of a mysterious past, a dash of pirates, balls, clandestine happenings, honest deceit, murder, lords and ladies.... Satisfactory recency escapism. A very enjoyable first book in a series. When I pressed play and heard the narrator's voice for the first time I groaned with disappointment. The tone is quiet, slow and dreary. Also, the narrator, with her fake British accent, had the irritating habit of pausing mid sentence. There was also something about the recording quality that didn't seem quite right. I almost gave up on this audiobook straight away but the story seemed like something I would really enjoy so I persevered. I'm so glad I did. I sped up the narration which improved the listening experience. Overall, I would say that listening to this book was time well spent as I enjoyed the story.By speeding up the narration I was able to enjoy it a bit better and the mid-sentence pauses didn't seem as obvious. I actually loved the story though. There is plenty of suspense, intrigue and romance from beginning to end and it provided a lot of entertainment on a dull Sunday afternoon.I think the author was unlucky in her choice of narrator and unfortunately from listening to the sneak peak chapter of the next book the narrator, Tanya Mills, has been signed up for the rest of the series. I will definitely be reading the rest of the series in Kindle format. But for the audio version, it is a question of whether or not I like the series enough to listen to Tanya Mills do the reading. Who might you have cast as narrator instead of Tanya Mills? I would have cast someone, anyone, with a genuine British accent, or someone who can do it well.There was one Irish character who, thankfully, only made a very brief appearance, as her accent was hideous and not done well at all. If I had to choose an alternative narrator I can honestly say that I've never been disappointed by any narration by Melanie Frasier.